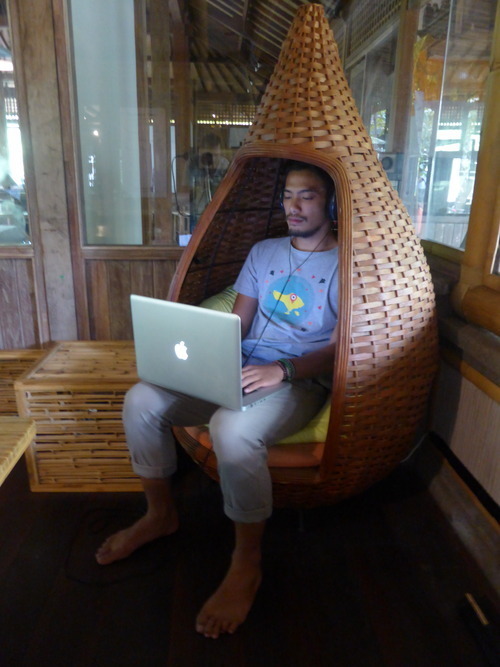 Two soundscape installations formed part of the Ubud Writers & Readers Festival for 2014. Both installations explore the use of augmented sound to reinterpret two very different acoustic environments for different outcomes. The two soundscapes were installed at location 9 & 36 on this map. Left Bank is one of the main Festival venues. 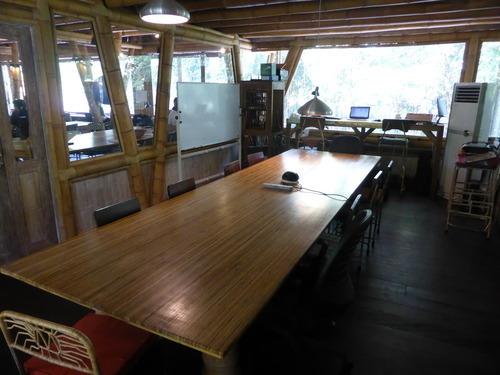 The building is located fronting a main arterial road of Ubud and backs onto a luscious jungle view of Campuhan Ridge. Two microphones were set up at high level on each facade of the building to capture the disparate acoustic environments. These captured sounds were then mixed together and processed in real time to resonate at the harmonic frequencies of the traditional Balinese Slendro tonal scale. 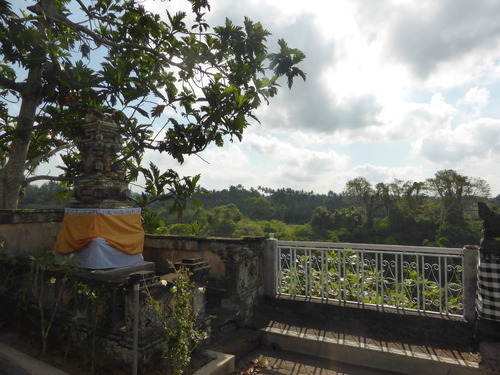 The low to mid frequencies of the soundscape were duplicated and the tuning shifted to produce the beating effect purposefully implemented in Balinese Gamelan tuning. This generative soundscape was then fed to two wall mounted loudspeakers within a semi-reverberant canopy down the side of the building. 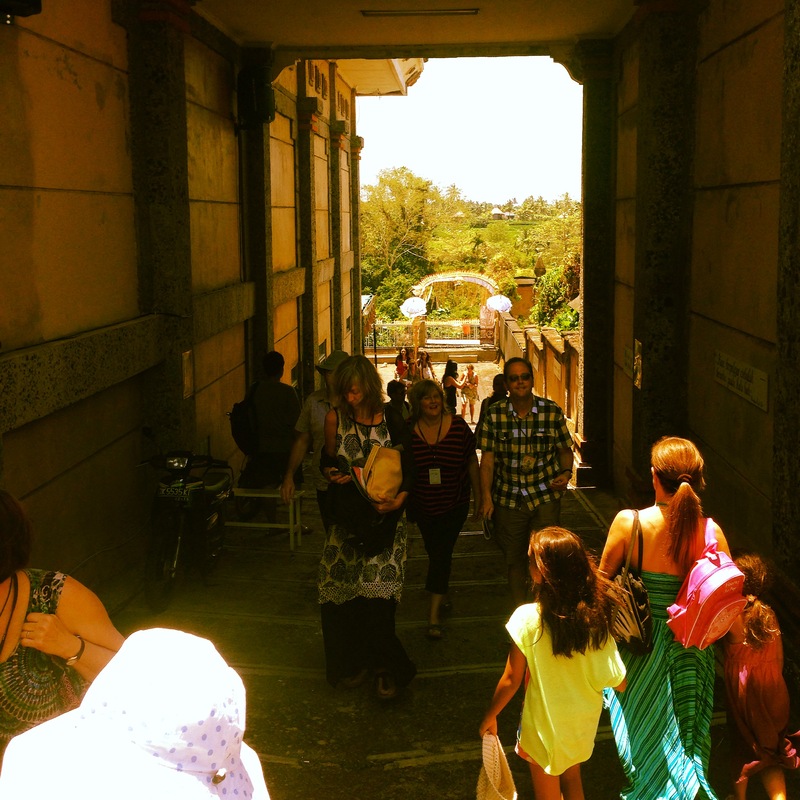 People attending the festival were invited to reflect upon the symbiotic relationship of the diverse acoustic environments across Ubud and Bali. This installation was a generative soundscape, reproduced binaurally in a listening station within a conference room at Hubud coworking space. The room is fairly acoustically vibrant with road traffic noise entering via the facade and flanking noise from the adjacent open plan area contributing to the overall ambient noise level within the space. 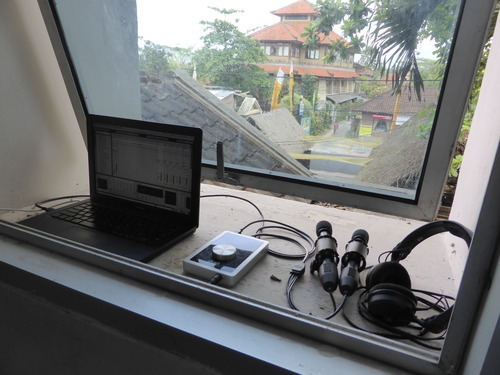 One microphone was set up at the facade to capture and isolate road traffic noise, another XY microphone pair was set up by the listening station to capture the general ambient soundscape of the room. 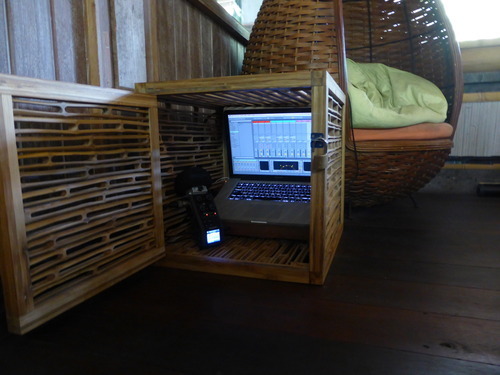 Both captured sounds were again processed in real time to respond to changes in the acoustic environment. Open backed headphones were used to to maintain an aural connection to the space in addition to a subtle mix of unprocessed captured sound from the XY microphone pair. Subtle additional layers of binaural beats and isochronic tones were also fed to the headphones and had been tuned to a relevant beating frequency to promote learning and concentration.